Relatives of one of the "Disappeared", victims of Northern Ireland's Troubles, have given him a Christian burial more than 40 years after his murder. 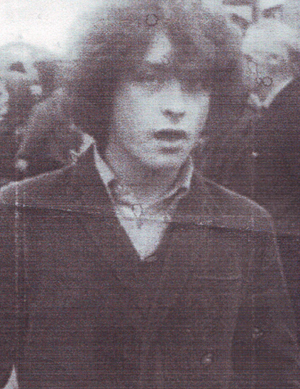 Kevin McKee's remains lay in bog land in the Irish Republic for almost 43 years before they were found earlier this year along with another man the IRA shot and secretly buried during the conflict. IRA men Mr McKee, 17, and Seamus Wright, 25, both vanished in Belfast in October 1972. The IRA shot them on the suspicion they were working as British agents. Fr Michael Murtagh, former Rector of Clonard Monastery, told mourners who had packed into St Peter's Cathedral in West Belfast: "We are here to give Kevin McKee a Christian burial. This is happening 43 years late but it is still important that we do it. "It is important for Kevin and for his family that they are given the chance to grieve publicly and acknowledge the awful tragedy his murder and secret burial was." Funerals for both men - Mr Wright's will take place on Tuesday - were arranged after a summer-long wait for confirmation of DNA tests. Their bodies were recovered from the same shallow grave on reclaimed bog land in Coghalstown, Co Meath, in June during a dig to find a third man killed and "Disappeared" by the IRA. Mr McKee's disappearance took its toll on each family member, the priest said. "We remind ourselves how this affected each of his family members, those living and those dead, especially his late mother Mary. "We acknowledge 43 years of pain, of wondering, of uncertainty and not knowing what had happened. "We acknowledge that at times there were very few to turn to and it was a lonely road for them to travel." The hunt for the Disappeared has been overseen by the Independent Commission for the Location of Victims' Remains (ICLVR) - an independent body set up during the peace process to find 16 victims secretly buried by republicans. The ICLVR was on site for several months this year searching for the remains of former Cistercian monk Joe Lynskey when the two other bodies were found. It is also only a few miles from where the body of Brendan Megraw was discovered last year following searches at Oristown, Co Meath. The searches for Mr Lynskey have to date been unsuccessful. Fr Murtagh commended the process set up to locate the Disappeared. He said: "It is part of our sometimes faltering peace process that is working." Mr McKee will lie beside his mother at Blaris cemetery in Lisburn, Co Antrim. This page was loaded Apr 23rd 2019, 10:18 pm GMT.